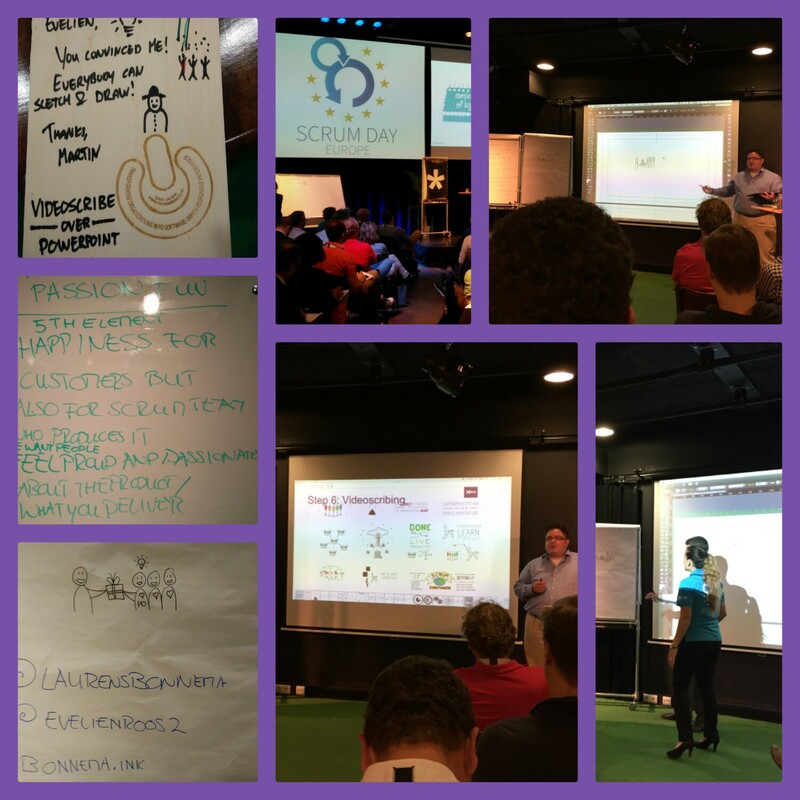 The theme of the conference, “The Next Iteration,” was all about the future of Scrum. 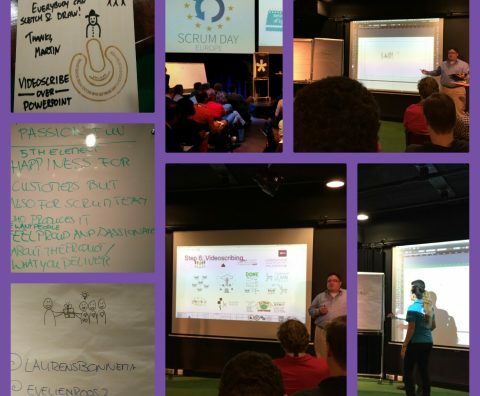 We wanted to tie our workshop into the theme of the conference, so we had a creative brainstorming session and identified four key elements that we think are important in the future of Scrum. Scaling: Do Scrum well first, before scaling Scrum. You should only scale when needed and if the organization is ready. Done: A “done” increment means actually done, all the way into production. We hope that future Scrum teams will be able to put things into production themselves. We still see a lot of teams with dependencies on other teams for delivering increments to production. Product Owner: We’re still searching for great Product Owners who understand the product and the market. These Product Owners work well with teams and are empowered, mandated and have a product vision. Scrum everywhere: We already see Scrum in construction, health care, schools, marketing and many other places. In the future, we see Scrum used everywhere. The attendees were impressed and amazed to see that they could produce a very smart looking Videoscribe themselves. Overall, the workshop feedback was very positive. We also received some tips for improving it, such as showing examples of how real companies have used this method. But because Videoscribes are usually made for internal use only, we could not show these at the conference. For our next session, we probably make an example Videoscribe for a non-existing company which is shareable with the audience. One of our attendees was so inspired by our session that we are invited to facilitate a workshop for her management team!